Since there’a detox – purification – healing theme in the air and has been for a while, I thought it’s a good idea to share some information on how to ease or completely heal ourselves of “dis-ease,” to allow the natural process of detoxification to occur. As the body becomes more sensitive, lighter, we might experience a greater sensitivity to toxins and other man made substances that are a result of a lower vibrational thought form creation. Worry not about it, our bodies are not as fragile as previously thought. Our bodies are intelligent, they are the result of eons of constant evolution. Even after so many decades of technology, information, discoveries, the modern human hasn’t been able to explore all the human body is. Why is that, you may ask ? It’s still constantly evolving, now more than ever. Our body is made up of the most Intelligent Consciousness. Consciousness expands. We put limits to our bodies, we think we are limited to the body, we think that the body is a limit, but is it so? Aren’t these thoughts the limitations and not the body ? Reflect profoundly on these questions. Do you hold any limiting thought patterns in your unconscious ? We begin the self-healing when we release and let go of those patterns. That’s when your body’s natural self-healing mechanisms are being activated to their full potential. This is a process, expect not full healing to happen over night. Patience, self-love and nurturing is needed, embodied. The body has been put through a lot of dysfunction in our many lifetimes, it gathered a lot of cellular memory that needs to be transformed into the light. We programmed our minds with many unconscious limitations. Our bodies picked up on those thinking patterns and shaped itself after those limits as well. Not to say, that the mind is the one in charge of everything, our consciousness is. Consciousness is everything we are, however it expresses itself in our human experience (mind, body, heart etc), therefore when the mind is really imbalanced and stuck in dysfunction, it is most likely to imbalance other things in there, such as the physical body, therefore “,dis-ease” appears. When we let go of the patterns, we naturally transform and unify within. We reach deeper, more harmonious states of balance on every level, that’s when the deep healing really occurs. Of course, firstly, in order to let go of something, we need to be aware of what that something is. This awareness will bring clarity and ways to transform out of our psyche that which no longer serves us. These imbalances “, dis-eases, ” on the other hand, are usually hiding some sort of blessing in them. Some have been pre-agreed, according to the individual’s wishes, choices and growth; some are showing you the areas in your life you need to become more conscious of, that might need some sort of work or healing. Sometimes they facilitate the embodiment of something you need to embody in this lifetime. There could be many reasons and they might differ from individual to individual. We have to be able to allow the experience to show us why it manifested in the first place. Why is it trying to show us ? That is why it is of extreme importance to be able to trust your intuition/guidance first and foremost, be aware and the rest will follow. The steps that need to be taken into healing yourself will be revealed to you, if that is what you intend to and hold no blocks of self-healing. Loving yourself will “do the trick. ” It is how you make sure you allow the healing to occur, because when you truly love yourself, you can only want what’s best for you and intrinsically for all. That’s what the foundation of your creations will be based on, therefore unwanted manifestations will be less and less frequent, until there are no more. We, as humans, do such silly things sometimes. That’s fine, that’s what we wanted – to play a bit in creation, as creation. Now, let’s try new ways of playing, which are a lot more fun. 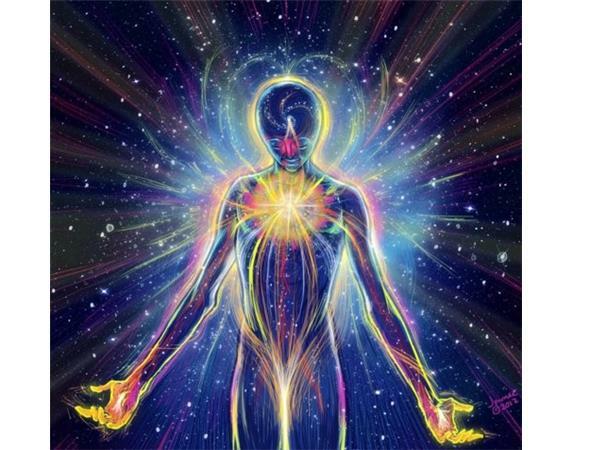 Let’s create new games that are more aligned with our core self/soul, but in the human version and in a higher vision. For example, how about mastering time in human form ? We can do that with such ease, because it’s natural to us, at least in the higher realms. It doesn’t have to be hard as humans either, we just have to avoid complicating things, when they are simple. Here’s the trick with time – time is an illusion, yes – but we’ve created it for various purposes that served our highest good and our evolution. One of it would be order, to progress in our journey through steps and also to use time as a reference point. Did that work out well ? Not really, because we’ve made ourselves slaves of time. But also, looking at it through a higher perception, it’s what we chose to experience, it was part of the plan all along. With all that being said, the plan is now to move away from all the illusion and dissolve all that no longer serves us. The focus of this article is the illusion of time. So, how do we break free from the illusion of time when the clock keeps ticking ? As always, the answer lies within you, it starts within you, no matter how the outer looks like. Deepest, biggest changes come from within. Firstly, we must dissolve any attachment we have with time. Do you feel stressed, pressured, overwhelmed by time ? If the answer is yes, then that’s an emotional attachment, a cord. Cut the energetic cords. Ask your team to cut all the cords that no longer serve you. Friendly reminder – your team is always with you, assisting if needed and asked to. However, permission needs to be granted, as you have freewill and you, as a being with tremendous creator potential, have to take responsability of what you want to create and how you want to create yourself. – Let the cords dissolve and let the emotions wash away along with them. Take a deep breath and get centered. Know that all is in divine order and timing, no matter how it looks. Try to remind yourself that in the moment. Persist – master yourself. Soon enough you won’t need a reminder, you will naturally be in the flow as you integrate a deeper sense of surrender to all that is. Secondly, energy is neutral. You choose (aware or unaware of it) the energy you attach to the concept of time. Our thoughts, the emotions we attach to our thoughts, the amount of energy we are wasting on “negative” thinking patterns related to time in general is just exhausting and there’s no fun in it. You choose the vibration/frequency you align yourself with, you choose the energy you want to assign to things and you also choose how much energy you want to feed duality/illusion. All these choices are a part of you creating your reality, so become aware of all this and take responsability for your choices, for your energy and all your creations. Energy flows where attention goes. Thirdly and most importantly, don’t let time limit you in any way. The present moment of Now is eternal, it holds unlimited potential and it is all that is. Everything is in the now, so be present in the moment. As cliche as that sounds and as many times I kept on boring everybody out with it, it is so essential. Being present in the moment of Now is a constant meditation, it is part of our multi-dimensional nature/essence and it is one of the greatest gifts you can give to yourself in human form, because the shift from linear time to multi-dimensional “time” ( the now ) sparks the grandest, deepest most beautiful experiences. Don’t worry about time, as more and more people are re-connecting with their multi-dimensional nature, so will the way our world will function, naturally, as everything else. Every single human being, without exception, has the ability to heal themselves. It is written in our DNA, we have created ourselves that way. Because we’ve chosen to linger in the illusion for a while, we’ve forgotten about our skills and abilities, amongst many other things. Now that we’ve started activating our DNA and remembering our true nature, it is important to be aware of the power we hold, more specifically for this article, our ability to heal ourselves. So, how do we heal ourselves ? There are many ways and techniques to heal ourselves naturally, but before going into that subject, it’s important to know the blockages that might stop healing from happening. When the blockages are removed out of the way, the healing will happen naturally and the methods to heal will come into your awareness as well. The most common blockage we hold that stops healing from occuring is issues around self-love (e.g unworthiness, depression, self-hate etc.). Everything starts by loving yourself, because that is when you show the Universe that you want what is best for you. When you love yourself, you align your whole beingness with the frequency and vibration of love. Love is healing in itself, so only when you release the blockages around self-love is when you will heal. Usually, we are unconscious of these blockages, as they are deep-rooted, which is why many people don’t know the reason why they can’t heal themselves or experience difficulty doing so. So, next time you are finding it challenging to heal, go within, check with your heart if there is lower vibrational energy that needs to be transmuted and ask that the blockages that no longer serve you be dissolved. The other common block is limitations. They are dysfunctional mental patterns we unconsciously picked along the way, for various Soul reasons, which are different for each individual. Best idea would be to not blame society for it, instead take responsability and start dissolving those limitations. We are beings with unlimited potential, but we are also the only ones limiting ourselves. Dissolve unconscious thinking patterns such as ” It is impossible to do this. ” from your mind. You can dissolve such outdated programs by observing yourself in the moment of Now and shift the energy by listening to your heart’s wisdom and truth, because the heart knows no limits. Stand in your heart’s truth. You can always invoke the Violet Flame of Transmutation/Transformation/Freedom to assist you transcend those limitations as well. Other blockages that stop healing from occuring include dysfunctional belief systems ( e. g religion) and disempowering behaviours. Future articles about ways, tips and techniques to heal ourselves naturally to be featured on The Power Within Us soon.